Since early childhood the life in the country has been offering me a great deal of opportunities to uncover the yet unknown. The diversity of nature astonished me in early age as I found a few large ground beetles and saw their enormous mandibles. 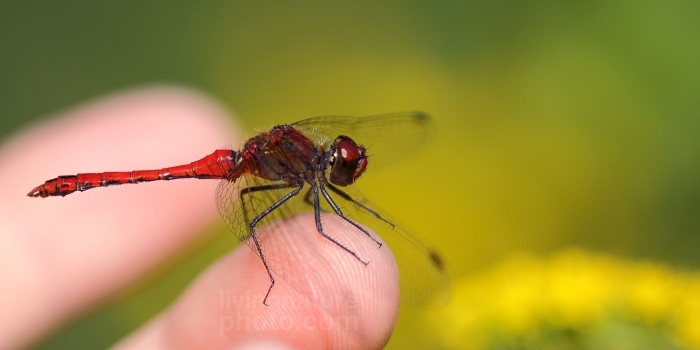 In the following years I marvelled at giant and swift dragonflies flittering all round the pond banks. In gardens and the woods round my village brightly coloured butterflies and birds caught my eye. Gradually, a peculiar relation towards nature has been formed in me and has become a source of my inspiration up to the present day. This is one of the reasons why I consider this phenomena to be an interconnected whole in which one part of life could barely exist without the other. Not only is nature the boundless multitude of quite unique species but to me it also represents the blend of various colours, sounds and smells. It is the murmur of leaves in treetops, the whisper of mountain creeks and the humming of bees flying above blooming and fragrant flowers on spring meadows. I devoted myself to photography in 2008 when I bought my first digital single-lens reflex camera. In my work I particularly try to capture the features of living nature in a way that is rarely perceivable by eyesight. My observations, concerning nature and the fields closely associated with it, are presented not only on my photographs but also in articles focusing on various issues.